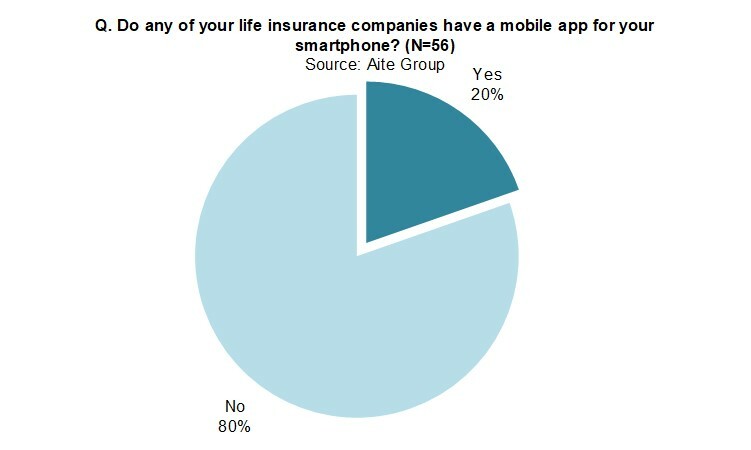 Consumers are more digitally savvy than ever, but life insurance carriers have yet to leverage mobile apps. Boston, November 8, 2017 – The consumer appetite for mobile apps from their life insurance carriers exists today and will continue to grow exponentially, but carriers have yet to meet that demand. Life insurance carriers must pick up the pace and recognize the need to develop a mobile app with value so they can experience the benefits that can come from being able to easily communicate with policyholders. This report will uncover some key vendors that support the challenges around audits, e-signature, security, and legacy integration. It is based on a survey of 56 life insurance policyholders reporting on 54 individual life insurance carriers’ mobile applications. Forty-one of the top 50 life insurance carriers are represented in the study. This 30-page Impact Report contains 12 figures and one table. Clients of Aite Group’s Life Insurance service can download this report, the corresponding charts, and the Executive Impact Deck. This report mentions eSignLive, GIACT, InsureApp, Intellect SEEC, Kofax, Sureify, and Tomorrow.